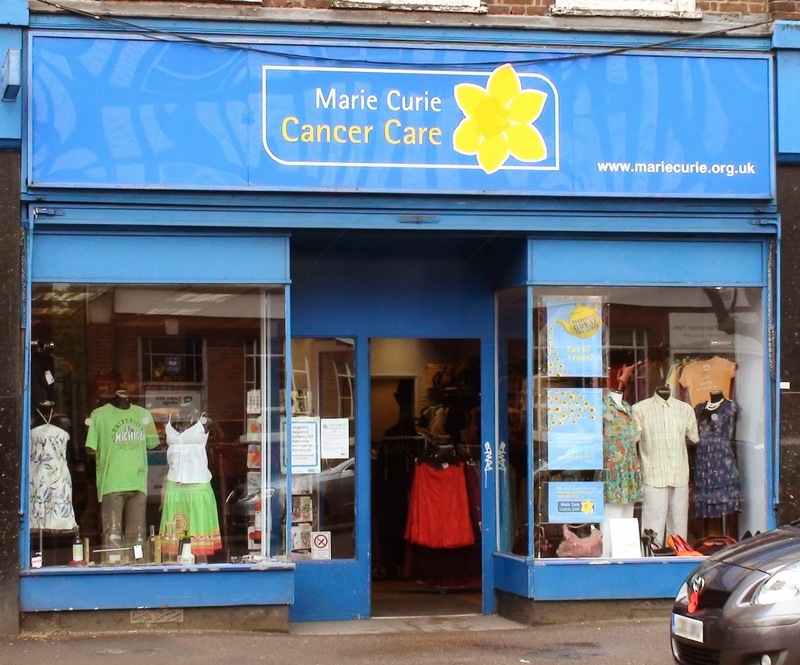 Helen from the Marie Curie Cancer Care shop in Central Road has contacted me today and wanted to pass on the news that they have a full and packed shop at the moment including many new items. I wouldn't normally just promote a shop in the high street unless they were doing something particularly special however as the proceeds are going to charity to help give cancer sufferers a better quality of life I'll make an exception. "We have been donated some fabulous clothes! Brand new girl clothes all from Monsoon, Gap and Next, aged 10 - 12 years. They are selling very very fast! Also we have been donated loads of one off designer scarfs. I know it's hard to come in to Worcester Park because of the traffic, children going back to school, going to work and of course the cold windy rain! But once you're in my shop you will be in another world full of wonderful surprises! So spread the word and repost this to all your friends and tell all your friends and family if you go down to Worcester Park Marie Curie you'll sure be in for a big surprise! Opening times are Monday - Saturday 9 - 4.30 and Sunday 10 - 4 and Remember to visit all the Charity shops in Worcester Park!"